There once was a Queen who wanted a craft space. She lived in a castle with her handsome King and two little princes. Unfortunately, this castle actually wasn’t a castle at all, but an apartment. This apartment did not have space for a craft space so this Crafty Queen decided to dream up a space of her own. 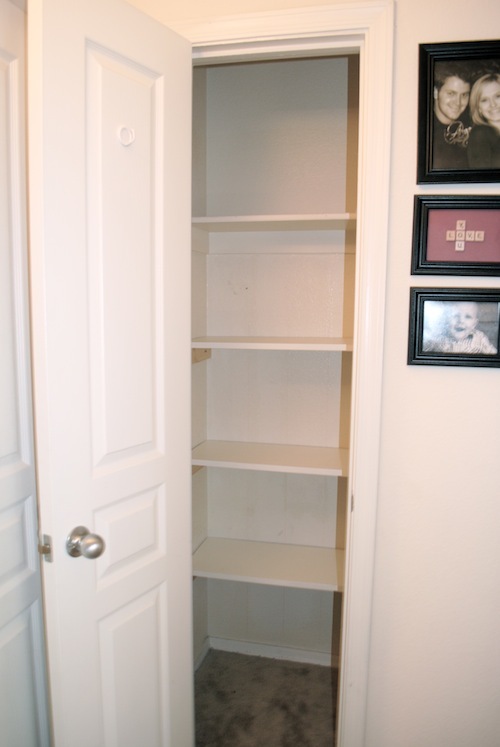 She created a beautiful craft closet to hold all her crafty things and they lived happily ever after! Baha! That was lame but it’s pretty much the story with this project. 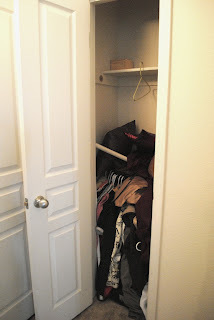 I despise(d) my coat closet and one day the bar that held the coats collapsed and created a beautiful disaster in this tiny coat closet. It was meant to be. Since it was in the dead heat of summer, I figured I could box up the coats and use this little area for all my crafting treasures! I measured and bought some MDF boards from Home Depot, along with some 1x4s for the supports. Then, I simply laid the MDF shelves I had cut right across the top of each support and voila! Ta-Da! 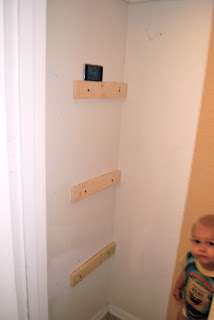 Easy project for extra storage! Aren’t you so proud of me?! I did it ALL by myself! Now I am organizing and using my Silhouette to label everything then I will show you the real “final project!” I had fun with my power tools! PS this project cost roughly $15. I am so thrilled to have a space to store my craft stuff and a place to try to keep it organized! What do you think?! Do you have a craft room? I’m jealous if you do! Next summer, I will get mine when we move… Patience Mallory. Patience. Patience is a virtue after all. right? OH OH! Don’t forget to enter our Giveaway for this amaaazing necklace! It is just gorgeous! & it could be yours! Hurry and enter! 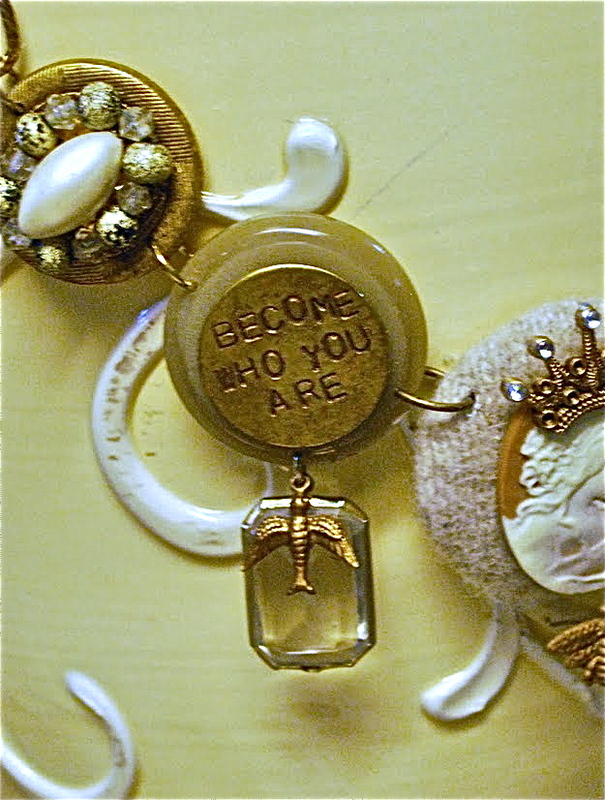 Become Who You Are. I LOVE IT! Awesome job! 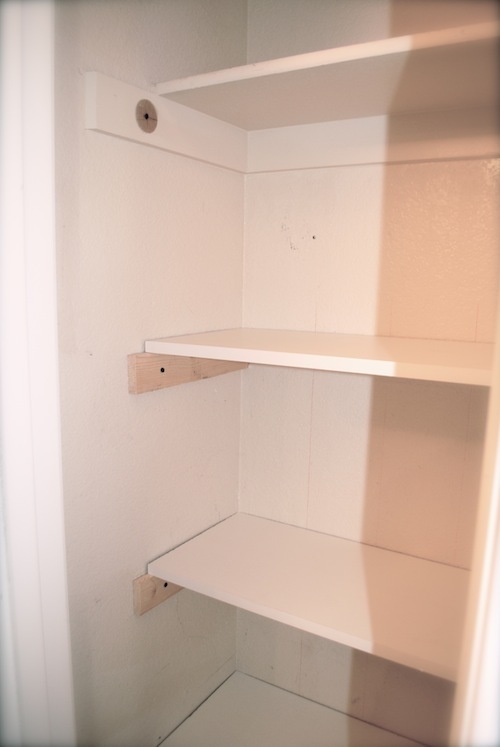 I did the same thing for a pantry. Exact same method and I’m so happy with it. I can’t wait to see how you organize it. The shelves look amazing. I want ones like that in my hallway cupboards. I have a craft closet too. It is a huge walk in closet, we just moved and I decided my crafts needed their own space. Unfortunately there are more important boxes to unpack before the craft stuff. Mal you are the craftiest girl I know. Seriously! 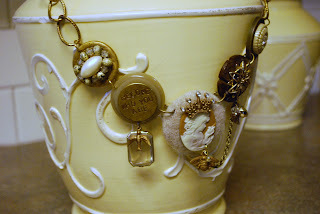 You are awesome at this stuff and I love your blogs. Where are you living these days? I would love to get together with you sometime. Wow the iPod touch level app, how cool! 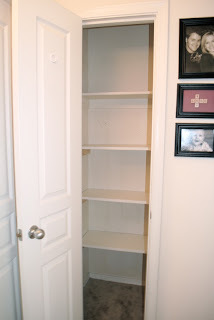 Great idea for a craft closet, thanks!